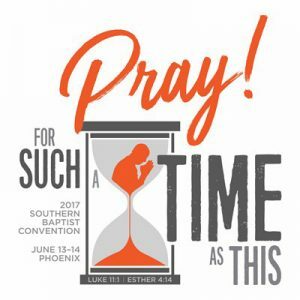 PHOENIX, Ariz.—The 2017 Southern Baptist Convention (SBC) Annual Meeting is set for June 13-14 in Phoenix, Ariz. Messengers and visitors from across the country can look forward to time of worship, an extensive exhibit hall, fellowship and more. Many gathered in prayer circles at the 2015 SBC Annual Meeting to pray for the next Great Awakening and to reach the world for Christ. Southern Baptists of all backgrounds and interest areas at Annual Meeting. 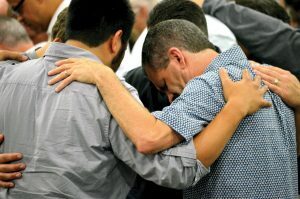 According to an interview by the Baptist Press, Gaines said the June 13 evening session of Annual Meeting will focus on praying, seeking revival and spiritual awakening, “I want to encourage all of us to pray for spiritual awakening across the Southern Baptist Convention. I also want to pray that we will be a soul-winning denomination—to really tell people about Jesus,” said Gaines. In preparation for Annual Meeting, the annual Crossover event and renowned evangelist Greg Laurie and his Harvest America event will join forces for three days of learning, sharing and serving in Arizona from June 9-11. Crossover, sponsored by the SBC’s North American Mission Board, will be focused on one main thing: bringing the cross over into people’s lives. All are encouraged to come Friday night for training from experts in one-on-one street evangelism to learn how to stay on point and deliver the Gospel simply and powerfully. Levi Lusko and Jason Powell will lead this effort at Phoenix, Ariz., North Phoenix on Friday night. Citizens and Saints will lead worship. Music at the Harvest America—Crossover’s main event, on Sunday, will be provided by big-time christian artists including NEEDTOBREATHE and Trip Lee, with worship led by Phil Wickham and other special guests at the University of Phoenix Stadium before Greg Laurie presents the Gospel. Those attending the weekend training are encouraged to help with hosting, ushering and follow-up counseling for the thousands expected to respond to the Gospel at the main event. Prior to the Annual Meeting, the annual SBC Pastors’ Conference will take place. At the Pastors’ Conference, “Above Every Name” is the focus. Pastors attending can expect 12 expository messages through Philippians from 12 pastors with a common goal of one name lifted high, the name of Jesus. One CommonGround Testimonies, presented by the Caskey Center for Church Excellence will be given from four prominent pastors of churches of all sizes. Sunday evening from 6-9 p.m. three messages from Philippians will be delivered, followed by Fred Luter, Jr. giving his Common Ground Testimony. Luter is pastor at New Orleans, LA., Franklin Avenue and was the first African American president of the SBC. Getty Music will lead a worship experience that night as well as for the duration of the SBC’s Pastors’ Conference. On Monday from 9-11:45 a.m., three more Messages from Philippians will be delivered before a Common Ground Testimony by Pastor of The Summit Church, Author and Theologian, J.D. Greear. Greear has lived and served among Muslims on the SBC’S International Mission Board (IMB) in the past. Monday afternoon from 1:30-4:30 p.m. Johnny Hunt will present his Common Ground Testimony. Hunt is a pastor at Woodstock, GA., First, evangelist, author and former president of the SBC. That evening from 6-9 p.m. the final Common Ground Testimony will be presented by the President of the SBC, Steve Gaines. Gaines serves as pastor of Memphis, TN., Bellevue and was pastor at Gardendale, AL. prior as a part of his 30 years of experience in ministry. 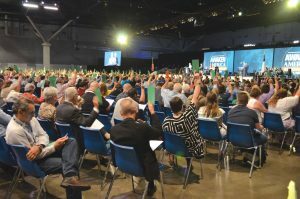 Messengers at the 2016 SBC Annual Meeting raise their ballots in support of a resolution during the Tuesday afternoon session. 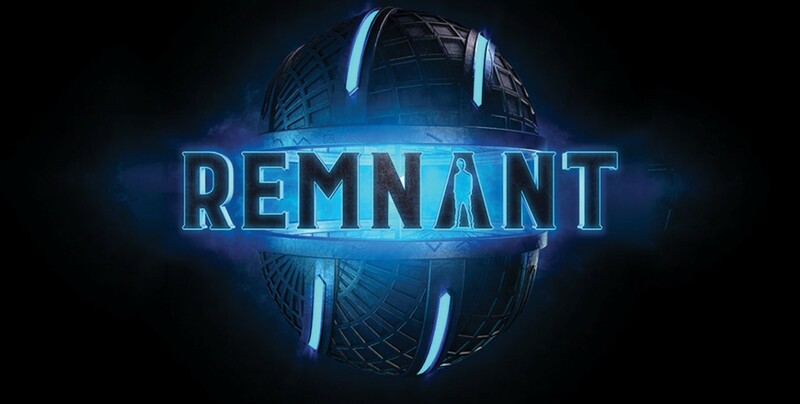 traditional hymn form, they have created a catalogue of songs teaching Christian doctrine and crossing the genres of traditional, classical, folk and contemporary composition which are sung the world over,” according to gettymusic.com. Shane Hall, pastor at Del City, First Southern, will be among the speakers at the Pastors’ Conference. The speakers’ list includes…: Jose Abella, Michael Allen, Jamar Andrews, Bart Barber, David Choi, Chris Davis, Jimmy Meek, John Onwuchekwa, Spencer Plumlee, Ryan Rice Sr. and Nathan Rose. For more information about these events as a part of the SBC’s Annual Meeting, visit www.sbcannualmeeting.net/sbc17. There, those interested in attending Annual Meeting can find a full list of events, including when and where they will take place, hotel accommodations and more. 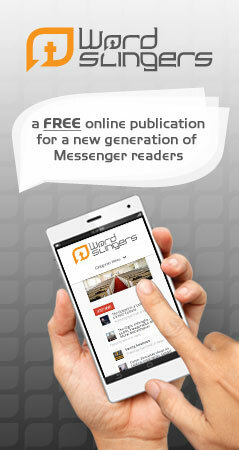 Those interested in registering as a Messenger should visit www.sbc.net/annualmeeting.